Ubuntu Tweak is a tool that lets you configure various aspects of the Ubuntu / Linux Mint desktop: change the GTK / icon theme, Unity settings, LightDM settings, clean up application cache, it comes with an Unity quicklist editor, a PPA source center and more. 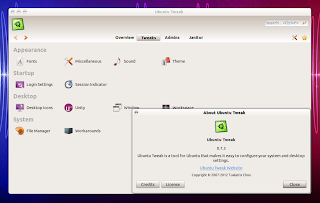 Ubuntu Tweak 0.7.3 has been released today, adding support for Linux Mint 13. The new version also comes with support for Ubuntu 12.10 Quantal Quetzal, but since Quantal is still in alpha, the application can't be considered stable. Besides Linux Mint 13 and Ubuntu 12.10 support, the latest Ubuntu Tweak 0.7.3 also adds a new feature: the ability to turn Guest account on/off. And of course, there are many bug fixes to the Quicklist Editor, Screen Edge actions and more.